Ensure recovery of Virtual Machine backup files along with deleted Exchange Server database files. This software save the recovered files in multiple formats. In addition to that provides the feature of transferring the recovered data directly to Exchange Server. Restore emails from VHD and VMDK files. Preview entire data before starting recovery process. Recover deleted and formatted data from EDB files of VMDK or VHD file. No file size limitation for Emails. Supports both FAT and NT file system. Installation of Microsoft Outlook is required. Virtual Machine Email Repair Software provides feasibility to load and scan two different file formats i.e. VHD (Virtual Hard Disk File from Microsoft) and VMDK (backup file of VMware virtualization technique). With this option, you can search VHD and VMDK file either across the hard disk or from a particular drive, as per your convenience. Virtual Machine Email Recovery Software facilitates you with the preview of Virtual Hard Disk file prior to recovery. You can also preview the deleted files from Exchange Server database. If you want to extract the present EDB files from Virtual Disk File. Then, you will find an option for the same. So, You will also be able to save the EDB file in absence of Live Exchange Server. With the recovery of deleted EDB files from VHD/VMDK file Virtual Machine Repair software also provide you the facility to restore the deleted or formatted EDB files. There is an option available in Virtual Machine Recovery Software to save the scanning report in two ways. Whole details of the list of scanned EDB files as well as the virtual disk file report can be saved in CSV file format. With the option of Naming Convention, You will be able to save every file of the selected mail format with the name of your choice. In case of large size PST files, this software allows to split the PST files. So, you will be able to manage your recovered data in PST format accordingly. VMDK (Virtual Machine Disk) is a file format specified for virtual machine files. VMDK file is an independent and complete file in itself. VMDK file was really developed by VMware. However, It is an open file format now and competes with the VHD (Virtual Hard disk) file of Microsoft. VHD and VMDK files are not compatible. 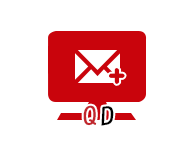 EDB files store mailbox data of Exchange Database including emails, calendars, contacts, task, notes, journals and messages. Exchange Database files also store the non-SMTP and in-process messages. Free demo version of the tool will recover and preview data. Step 1: Go to Start » All Programs » SysTools Virtual Machine Email Recovery, Click on Add File. Step 2: Then, You can choose any one image type .vmdk or .vhd. Enable Select File, To Select file path, Click on Browse . Step 3: Click on Scan . Step 4: Provide search options of All Drivesand Specific Drive. Step 5: A pop-up will be visible to save the scan. Step 6: Save the scan in CSV format. Step 7: All the EDB files get listed. Select the EDB files for extraction and Click on Save Report. Step 8: Confirmation window for completion of Scanning process will appear. Step 9: Confirmation window will appear on completion of extraction process. Step 10: All the EDB Mailboxes get listed in left side pane in tree structure. Step 11: Select any single mail to preview. Step 12: Export Single or multiple mails in different formats. Step 13: Enable desired file format and Split PST according to your need. Browse for destination of resulting file. Step 14: Enable Ignore System Folders to ignore system folders and Click on Export to start export process. Step 15: The export process will appear on screen. Step 16: Click on Save to save the export report. Step 17: Save the export report in CSV format at desired location. Step 18: You can export all EDB Mailboxes by clicking on Export button. Step 19: Select the folder to export. Step 20: Export process will be visible. Step 21: After completion of export process, Click OK. Step 22: Click on "Save" to save the export report in CSV format. Is it possible to recover multiple VMDK files? Yes, You will be able to recover multiple VMDK files. What is the limit of file size for VHD/VMDK file to be recovered? There is not any file size for VHD/VMDK file for recovery. Does the software support windows 10 OS? Yes, the software support Windows 10 and all below versions. I had a bundle of VMDK files, some of them were corrupted as well. I wanted to convert all my VMDK files into Outlook file format. Quickdata Virtual Machine Email Recovery did a great job for me. I was not aware with many technical facts related to VMDK file and Virtual Machine. Thanks, for providing such a fabulous support team, assisted me at every step of the conversion process.